The international medical community has taken the long-term ramifications of concussions and severe brain trauma more seriously. Brampton based personal injury lawyers, Kalsi & Associates, want to help accident victims with their severe head injuries because of the cognitive or physical impairments that can arise after an automobile or slip-and-fall accidents. 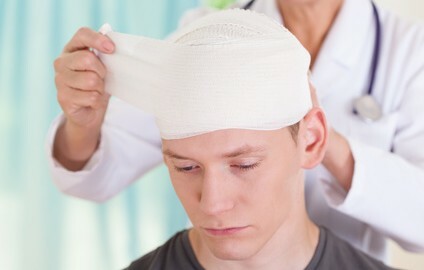 As these Brampton based personal injury lawyers are aware, traumatic brain injuries can arise from a blow to the head or sudden jarring of the body that causes movement of the bran within the skull. Concussion can often be difficult to diagnose due to the lack of visible symptoms. Brampton based personal injury lawyers, Kalsi & Associates have worked with concussion victims who may or may not have lost consciousness. Though some victim recover quickly, others are often not as fortunate. If you’ve suffered an accident related concussion, your symptoms may not appear immediately. The human brain’s sensitivity to damage can increase following a concussion. If you suffer an accident related concussion, these Brampton based injury lawyers want to help. Brampton based personal injury lawyers, Kalsi & Associates, are greatly concerned about the long-term effects of concussions. These traumatic events have been linked to the onsets of severe depression, Parkinson’s disease, early-onset dementia and Alzheimer’s. If you or someone you love has suffered a concussion in an accident call Kalsi & Associates at 1-844-90-LAWYER.